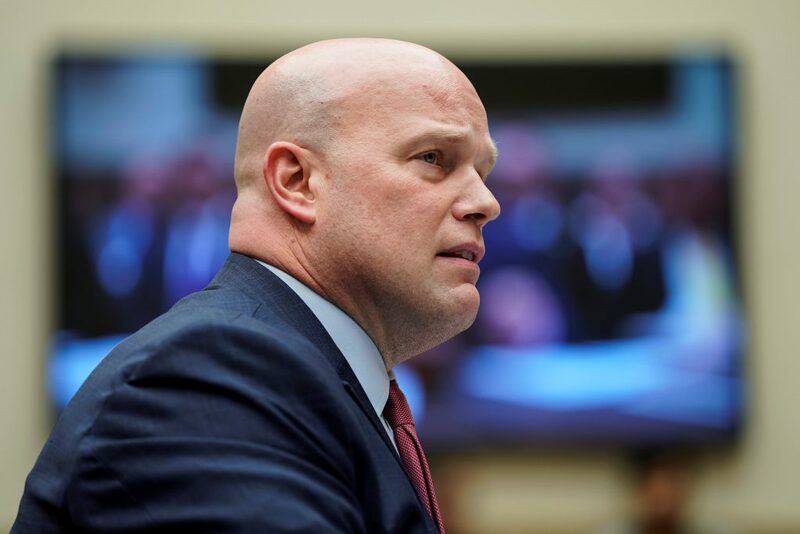 Three Democratic U.S. senators on Tuesday dropped a lawsuit that challenged the appointment of former acting attorney general Matthew Whitaker, who stepped down from his post last week when the Senate confirmed William Barr to the position. Senators Richard Blumenthal, Sheldon Whitehouse and Mazie Hirono had sought to bar Whitaker from serving as attorney general, arguing that President Donald Trump violated the U.S. Constitution in November by depriving the Senate of its power to act on such appointments. They also argued that President Trump violated a federal law that establishes the line of succession at the Justice Department, arguing that Deputy Attorney General Rod Rosenstein should have taken over when Trump fired Jeff Sessions on Nov. 7. Democrats have expressed concern that Whitaker could undermine Special Counsel Robert Mueller’s investigation into whether the Trump campaign worked with Russia to win the 2016 election. Whitaker told the U.S. House Judiciary Committee this month he did nothing to affect the probe one way or another. Whitaker remains at the Justice Department for now, serving as an adviser to the Associate Attorney General, the Justice Department’s No. 3 post, which is currently being filled on a temporary basis by Jesse Panuccio. But his battles with Democrats may not be over. House Judiciary Committee Chairman Jerry Nadler has accused Whitaker of giving incomplete and contradictory testimony and has threatened to subpoena him for a closed-door follow-up session.